Happy New Year! We hope your new year is off to a fantastic start. We were so pleased to welcome our students back to campus on 7 January 2019; Maringi Eco Resort has many guests staying at our Christmas and New Years holidays. We also have a new year dive with our guests and students, which both parties were extremely fun and exciting way to start 2019. 2020. 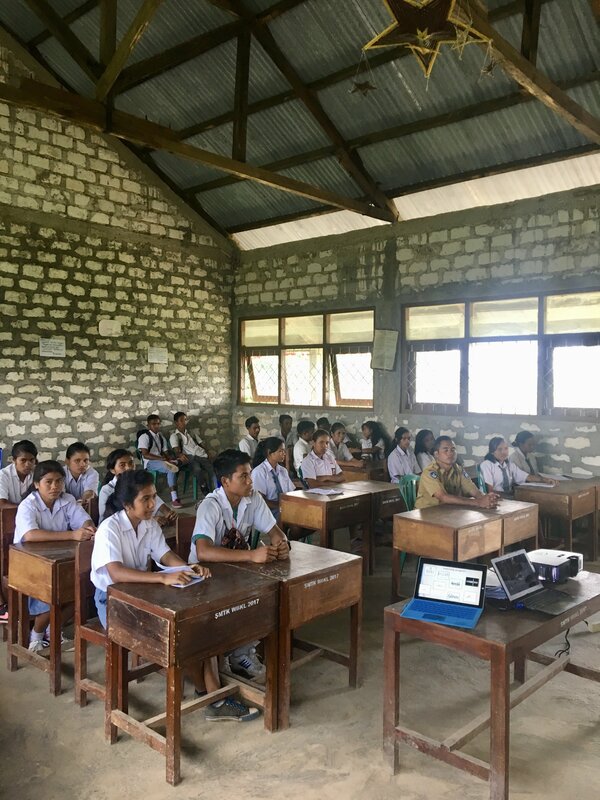 With graduation only five months away, staff and students are poised to make the best class ever at the Sumba Hospitality School. Happy New Year! We hope your new year starts with a fantastic start. We are very happy to welcome our students back to campus on 7 January 2019; although many students remain to serve guests at Maringi Eco Resort during the Christmas and New Year holidays. 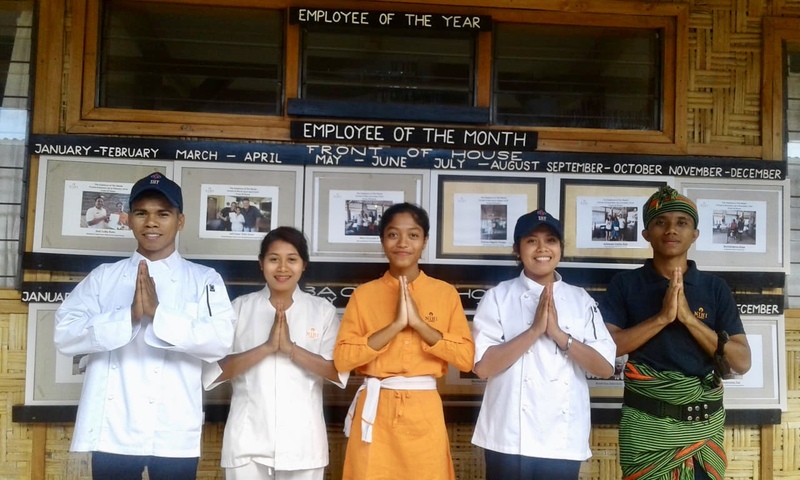 With just five months graduation, staff and students are ready to make this the best class ever at the Sumba Hospitality School. 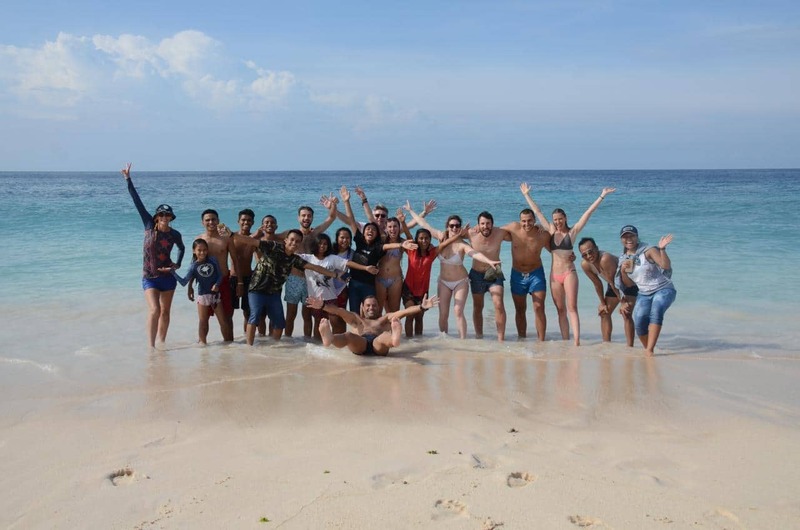 With our world-renowned eco-resort, NIHI SUMBA continues into the New Year as our students continue their two-week cross-training experience. This is an excellent opportunity for students to bring together theory and practice together and gain real-life work experience in their fields. During the month of January Arson (Culinary), Imelda (Housekeeping), Veban (R & B), and Rian (R & B) showcased their knowledge and skills during their two-week training at NIHI SUMBA. It is amazing to see how much students have matured and grown when they return to campus. Group 5 campus on Saturday, 26 January and included: Mia (Housekeeping), Istar (R & B), Monik (Front Office), and Yuyun and Samuel (Culinary). We look forward to their return in February. We wish them great success! 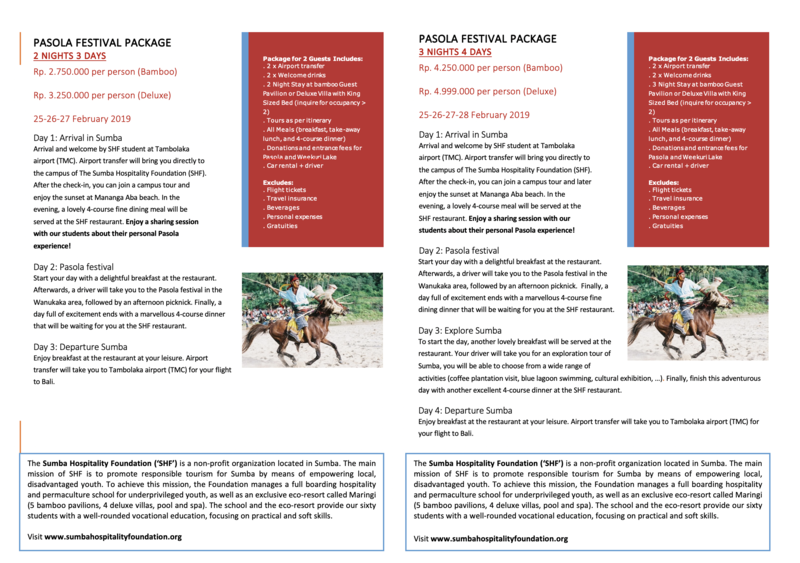 Our partnership with the world-famous eco-resorts, NIHI SUMBA continues until the New Year when our students continue two weeks of cross-experience training. This is an excellent opportunity for students to unite theory and practice and gain real work experience in their fields. During January, Arson (Culinary), Imelda (Housekeeping), Veban (R & B), and Rian (R & B) showed off their knowledge and skills for two weeks of training at NIHI SUMBA. It’s amazing to see how many students have grown and grown when they returned to campus. Group 5 leaves campus on Saturday, January 26 and includes: Mia (Housekeeping), Istar (R & B), Monik (Front Office), and Yuyun and Samuel (Culinary). We look forward to their return in February. We wish them great success! We are so proud of our R & B students and their amazing instructors, Claartje Bakker, from the Netherlands. 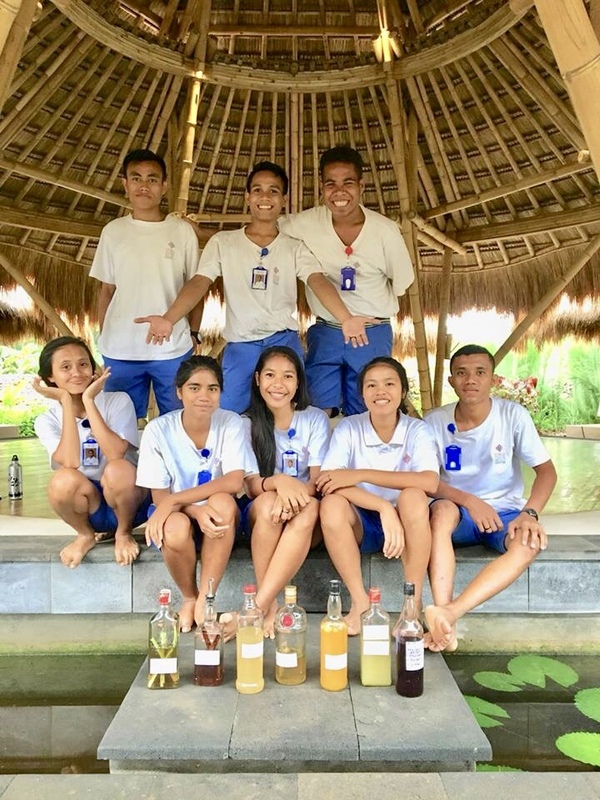 Using hand picked ingredients from our own garden, the students carefully crafted a delicious array of unique syrups from herbs, berries, and fruits which were used to create amazing concoctions including the new Sumba Mojito. While the students test “mocktails” our adult guest may enjoy the cocktail versions. Our students are learning amazing things in our hands-on and exciting educational environment. Cheers to them! We are very proud of our R & B students and their outstanding instructors, Claartje Bakker, from the Netherlands. 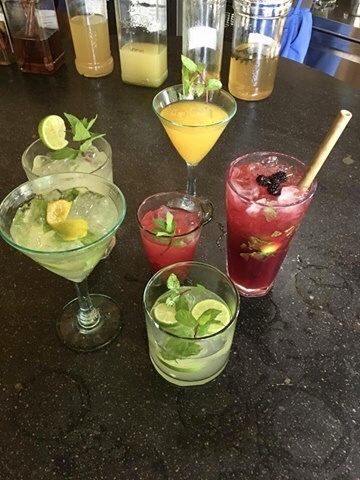 Using selected ingredients from our own garden, the students carefully made a series of delicious unique syrups from herbs, berries and fruits used to make some amazing herbs including the new Sumba Mojito. While students test “mocktails”, our adult guests can enjoy the cocktail version. Our students learn extraordinary things in our educational environment directly and pleasantly. Cheers for them! A big thank you to our generous volunteers because of their kindness the students in our R & B and Culinary Departments had the opportunity to experience eight different European cheeses. 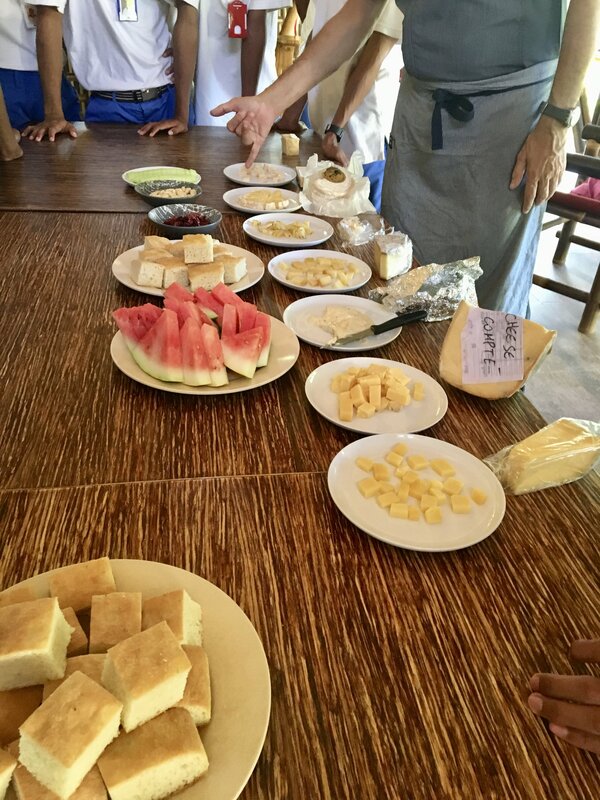 With the assistance of Chef Alex Colombis, from Italy, these delights were paired with a variety of fruits, nuts, and breads to bring out their flavors, and a lecture on cheese making and pairing followed. Never having tasted cheese before, many students found the array of odors, textures, and flavors overwhelming. Regardless, it was an amazing learning experience for our students to experience cuisine from all over the world. Many thanks to our generous volunteers for their kindness, students in the R & B and Culinary Department had the opportunity to taste eight different European cheeses. With the help of Chef Alex Colombis, from Italy, this delicacy is paired with various fruits, nuts and bread to enhance their taste, and is followed by knowledge about cheese making and installation. Never tasted cheese before, many students found a great variety of aromas, textures and flavors. Whatever it is, it is an amazing learning experience for our students to experience cuisine from all over the world. We are fortunate partners of the well-known Herbal Spa School in Bali.Curriculum and on-site trainer, our Spa students are world-class education in various spa treatments. Most massage schools limit treatments for a few treatments and do not include teaching vital anatomy, hygiene, and product use and development, but here at our Maringi Spa, with our partnership with Jamu Spa School, our most comprehensive training students are available in Southeast Asia. We offer excellent on-campus training, we bring herbal therapists from Bali to campus every month for additional training and practice and theory assessments. This month, the visiting Jamu trainer is teaching our students the art of hot stone massages, facials, and cream hair baths which will enhance our current offerings for our guests at the Maringi Eco Resort Spa.Come and enjoy the sheer BLISS of our Spa experience! We are partners who feel lucky with the famous Jamu Spa School in Bali. Utilizing an established and extensive curriculum and on-site trainers, our Spa students get world-class education in a variety of spa treatments. Most massage schools limit their training to several treatments and do not include teaching vital anatomy, hygiene, and product use and development, but here at our Maringi Spa, with our partnership with Jamu Spa School, our students get the most comprehensive training available at Southeast Asia. In addition to training on our excellent campus, we bring therapists from Jamu in Bali to campus every month for additional training and practical assessment and theory. 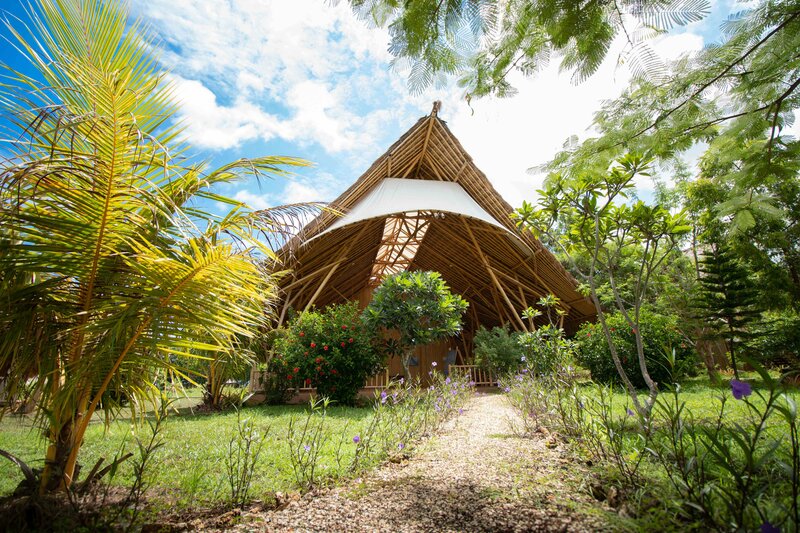 This month, the visiting herbalist coach is teaching our students the art of hot stone massage, facial treatments, and creamy hair baths that will enhance our current offerings for guests at Maringi Eco Resort Spa. Come and enjoy BLISS solely from our Spa experience! 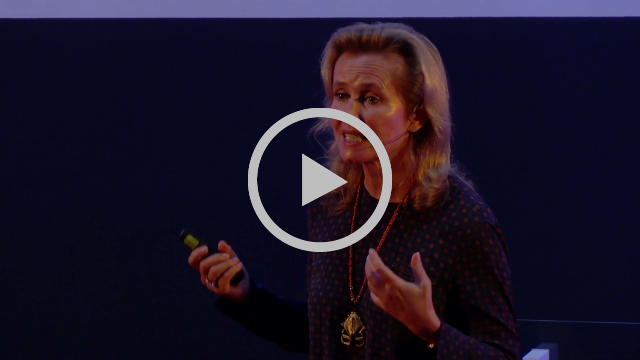 Watch our amazing inspire founder at TEDx Hotelschool The Hague! The team at SHF is so proud to have come so far through the vision and have been able to help the people of Sumba for many more years.